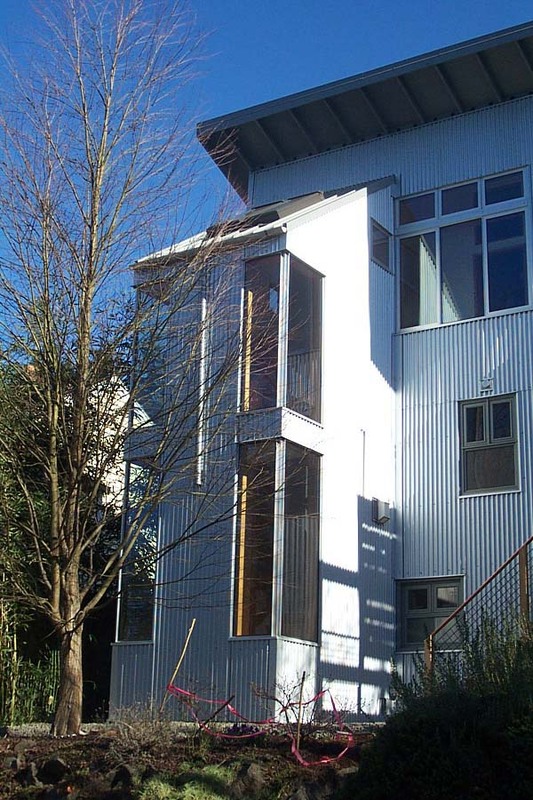 A contemporary loft style addition to a small WWII era cottage home. The addition houses a new master suite over the back half of the existing cottage.To respect the cottage scale of the existing neighborhood, the addition is held to the back half of the house. A layered shed roof plays down the scale of the house, allowing a three story volume at the back of the house to present a one story facade consistent with the rest of the block. A new stair tower was added to the rear of the house to allow views from the living room through to the backyard landscape. In the upstairs master suite, the bathroom core is held in towards the center of the space, with hallways allowing open circulation around the perimeter, emphasizing the open-loft character of the space and the connection of light and view from one side of the house to the other.